In a big bowl, mix together the olive oil, lemon juice, salt, pepper, oregano, garlic and onion. Place the cut meat in the bowl and toss together so that the meat is fully covered in the marinade. Cover and chill for at least 24 hours. 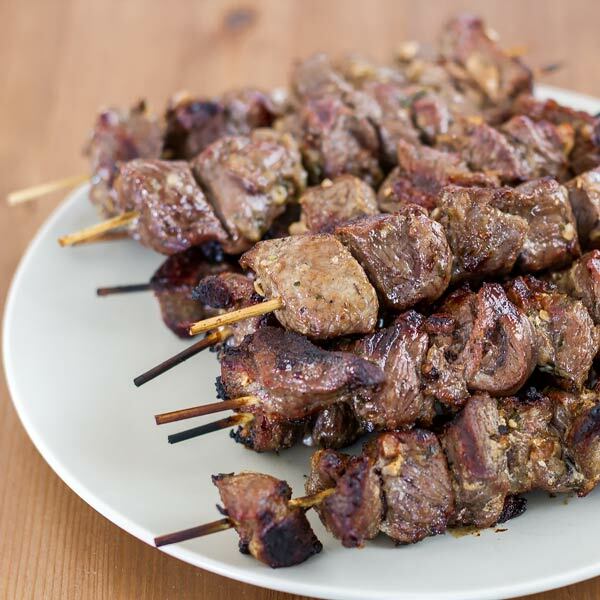 Thread the meat onto metal or bamboo skewers.Grill the skewered meat until brown on all sides. Serve with pita bread and tzatziki or go check my pizza recipe.